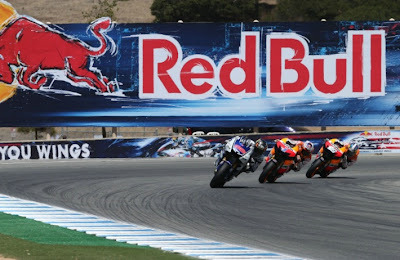 Casey Stoner now is 32 points behind Jorge Lorenzo on the 2012 MotoGP championship. The 2011 world champion told on the interview with MotoGP.com that he made mistakes at Mugello and Sachsenring. Now Stoner have 9 races more to hunt his second title with Honda. Stoner said, "To be honest, I'm pretty happy with my level, but we made a couple of small errors in Mugello and Sachsenring, which unfortunately left us far behind in the standings. I think if things had been slightly different, if the weather had been different at some races and if we had not made these mistakes, then we would be in a good position. As we are now, we have lost a lot of ground on where we should be." Stoner also told that Le Mans was not good for him. "As I said, if we had raced at Le Mans in the dry, then I have to think that we were in a good position to win there and if I would have won at Sachsenring we'd probably be leading the championship now. Along with Jorge Lorenzo and his teammate Dani Pedrosa, those riders are the frontrunners in MotoGP. Stoner didn't talk much about his competitors, but he said, "I think it changes every week. Clearly, Jorge is always up there, always looking very strong and consistent, because obviously he is very happy with this new tyre. That compound is what they preferred in preseason testing and myself and Dani were the ones who didn’t like it at all. Your strengths and weaknesses change at every race and you have to evaluate that over a weekend, which is never easy." He continue, "I think it has been getting better year after year. The first four from last year have always competed together, we rose up through the lower classes together and I think this season the level has been increasing in strength. It is a great feeling to have been on the podium so many times with Jorge and Dani. We respect each other a lot, we enjoy good battles and races and I am very happy to be taking so many podiums alongside them in my final season."